"Solitary Man" is directed by Brian Koppleman and David Levien. You may not remember Koppleman's writing off hand, but he's penned films including Ocean's Thirteen, Runaway Jury, Knockaround Guys and Rounders. He also recently penned Steven Soderbergh's much talked of The Girlfriend Experience. The film is set to get a limited release starting May 7th through Anchor Bay Films and Millennium Films. Official synopsis: Ben (Douglas) once ruled a car-dealership empire vast enough to fuel a glossy Manhattan lifestyle and endow a library at an East Coast university. 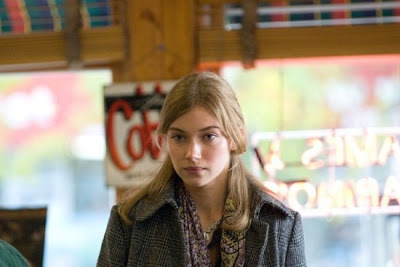 But by the time he arrives at the college with his girlfriend’s daughter, Allyson (Imogen Poots), who is a prospective student, his world has collapsed around his ears. A business scandal has cost him his income and his marriage to Nancy (Susan Sarandon). His ever-present lust for every passing attractive woman threatens to take what little Ben has left. 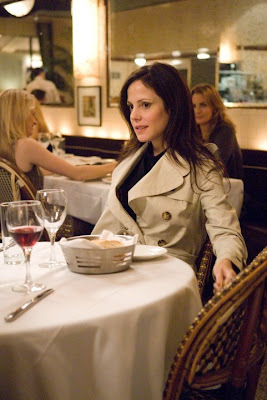 Even his new relationship with Jordan (Mary-Louise Parker) oscillates with tension. When Ben takes Allyson to tour the school, his motives are more than mixed. 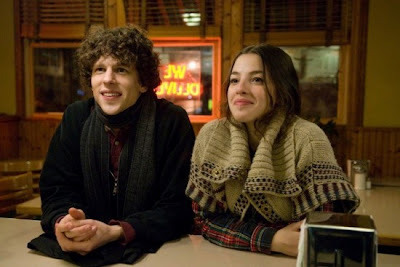 There is a lot that jumps out at me about this film. 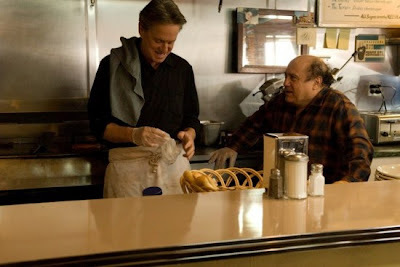 Number one, Michael Douglas back in an alpha-male role. Even at his ripe age of 65, Douglas looks to have that particular charm that has given him such a fabulous career. The film is described as having some "whip-smart dialogue" and with this cast, it is sure to have some memorable moments too. 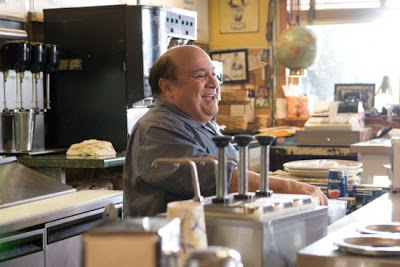 Not to mention the fact that Danny DeVito and Michael Douglas play old friends in the film! Let's just say that I will be looking out for "Solitary Man" when it hits limited theaters in May. Take a look below at some images from "Solitary Man" along with a new poster. Solitary Man, presents an even more unforgivable rogue a man devoid of almost any moral qualms but somehow manages to make us identify with him. A loser we want to dot on, a deviant with deeply human core. Addressing the complexity of these roles is the alchemy of Michael Douglas.